White picket fence and a backyard pool is part of every person’s dream home. If you are building your dream house on your home, you must see that everything goes on smoothly and is just the way you want it to be. 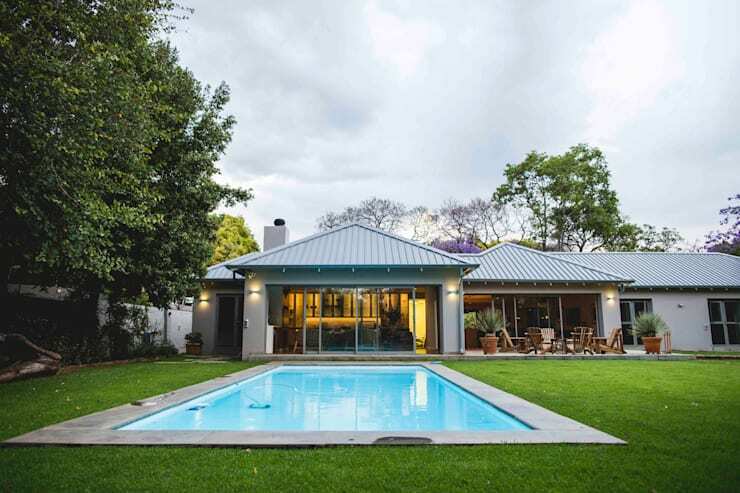 Here are eight beautiful backyard pools from South African homes that you can consider while building yours. 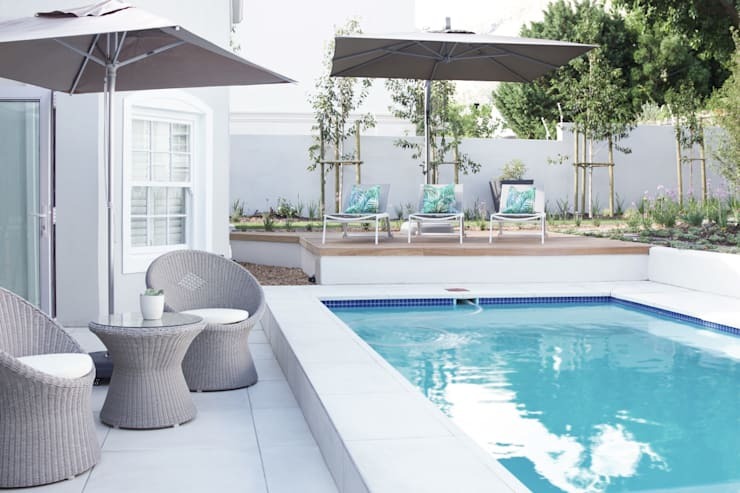 The rectangle swimming pool takes up majority of the backyard space and the homeowners have created a deck with seating arrangement for a sophisticated appearance. This infinity backyard pool is definitely high maintenance but the most beautiful design ever. Imagine yourself taking a dip during a hot summer day and staring endlessly into the ocean. Even though the design in very simple, it looks gorgeous with the house exterior as the colors are matched. And obviously, a big backyard calls for a bigger swimming pool. Keeping up with the mid-century architecture, the homeowners have gone for a tiny pool in the corner for aesthetic purposes. You can install an in-built jacuzzi in such small pools for all winter nights and parties. Even though the structure is long and slender, this pool is a remarkable one. 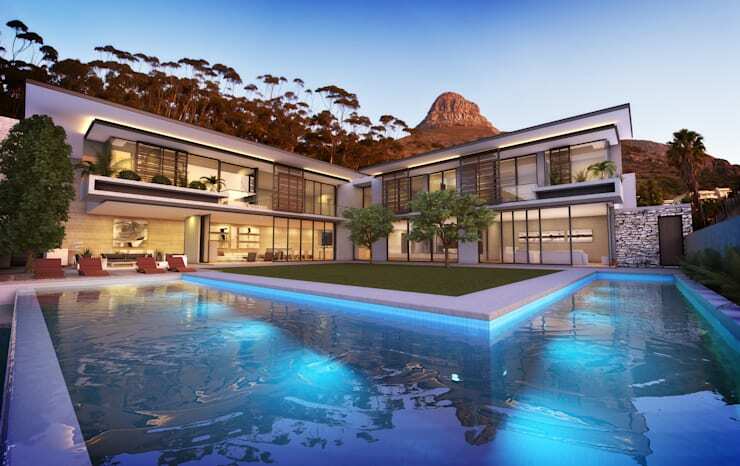 The open living room design gives a very modern touch to the pool and there is also a jacuzzi. Everything about this house is perfect. 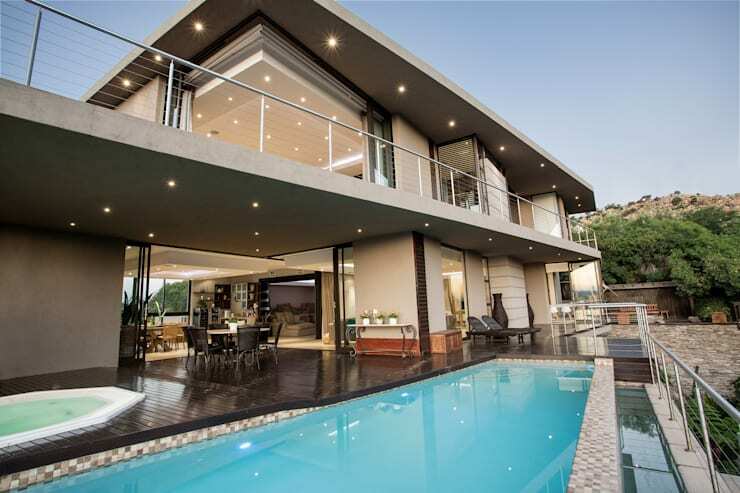 A big two-storey house with a huge backyard and a big pool is straight out of everyone’s dream. 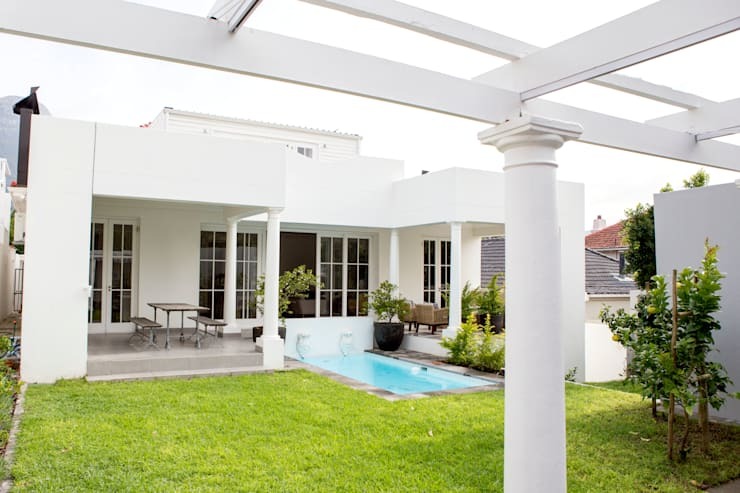 Look how the landscape architect has placed the garden between the house and pool and the deck after that to bring balance. 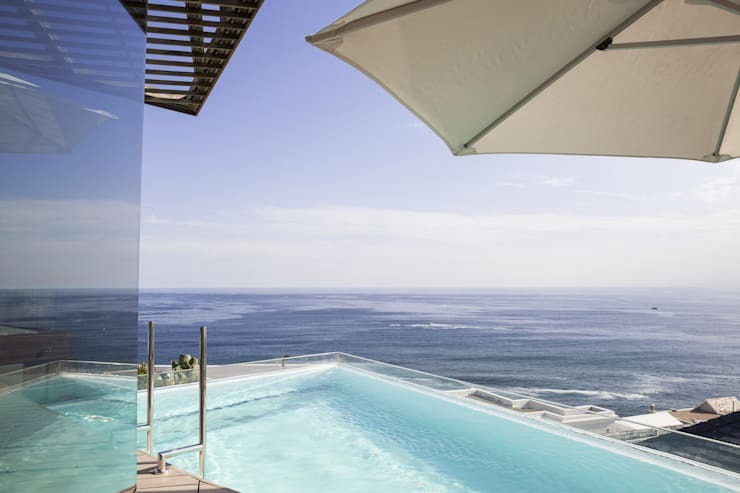 A corner pool is a risky but brilliant idea if you take up the bold choice. It not only adds character to your backyard but also gives you an amazing view of the ocean. This design is a good idea when you want a garden and a swimming pool and there isn’t enough space. It also adds symmetry to the house structure. If you want more inspiration, take a look at more ideabooks on Homify.